chadkafka.com blog: Public Domain Clipart Website I Love! Public Domain Clipart Website I Love! In this post, I want to share a tool that I've been using almost daily when creating handouts, lessons, presentations and the like. 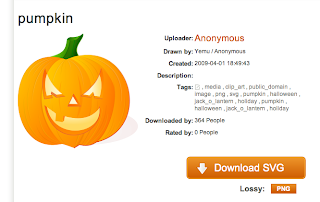 OpenClipArt.org is a site where users (anyone) can create and upload clipart to be used by others for absolutely free. It's a total community of those that just want to create and share images. You might be thinking, "how is that possible? Don't you have to cite where you got artwork from?" You do, but NOT if it's in the public domain. Here's a part of the OpenClipArt.org ABOUT page. Another great benefit to using this site is that artwork is uploaded as PNG (think bitmap image like a .jpg or .bmp so you can use it in Word, PowerPoint or the like) or SVG (vector images for those that know how to use them in programs like Illustrator or Corel Draw). 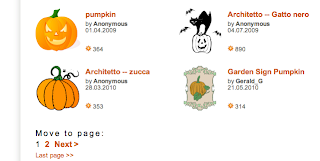 OpenClipArt.org offers a wiki and forum area for discussion with other artists. 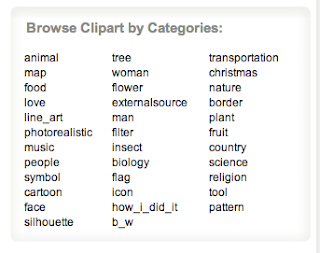 Right below that is an area for the "most popular tags" that uploaded clipart has been tagged with. 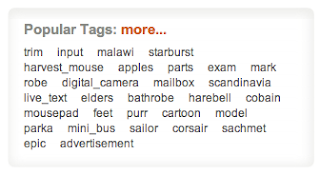 Clicking on a tag brings up results that have that tag. ...and you can either click on a result you like OR you can go to the bottom and see if there are more pages available with more results like in the example above. From here, I click on my result to go to just that piece of clipart I like. If the image is big enough on this page, I will just click and hold on the image with my mouse and drag it to my Word document or PowerPoint slide or desktop (using a Mac). If using a PC computer, you can right-click on the image and choose to COPY. I'm done and can go on my way. This format is PNG. If you need the image bigger, you can click the "Lossy: PNG" button and that will take you to a "full size" version of the image the way it was uploaded to the site by the creator. 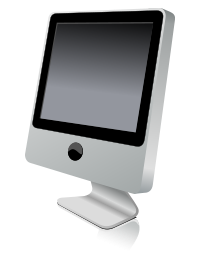 I really enjoy the FRESHness of the clipart (especially TECHNOLOGY clipart). The clipart is not just old, static images we've all seen a million times. Try this out as a way to spruce up your next project, assignment, presentation or lesson! Share and show this to students as well! They will enjoy the freshness of finding new clipart to have access to! Easysite to create your own website Create a free website with easysite.com. Customize with easysite.com' free website builder, no coding skills needed. Choose a design, begin customizing and be online today!